A glimpse into the history of the beloved 3,000-mile-long rally that refuses to be categorized. Auto enthusiasts, groupies, world travelers, and anyone with far too much time on their hands has heard of the Gumball 3000. For anyone new to the glitzy international affair, Gumball 3000: 20 Years On The Road provides the thrilling (albeit page turning rather than gas pedal accelerating) effervescent version to make you feel as if you are a part of the beloved rally road trip. Founded in 1999 by model-turned-entrepreneur Maximillion Cooper, the Gumball 3000 has consistently defied conventions, refused to be categorized, and often finds itself dodging pigeon-holes much like Happy Gilmore‘s golf balls refuse to go to their homes. 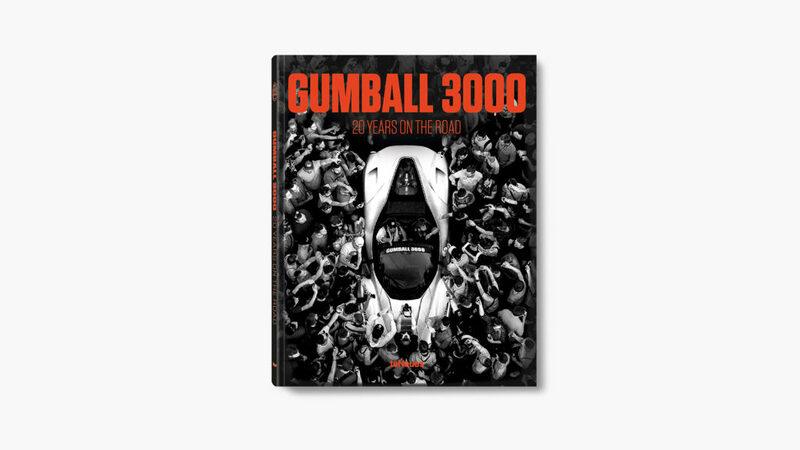 Gumball 3000: 20 Years On The Road offers a glimpse into the history of the eight-day, 3,000-mile-long road trip that has created memories to last a lifetime and more than one instant that has become the stuff of legends.